Origin Native to Middle East and South Asia. 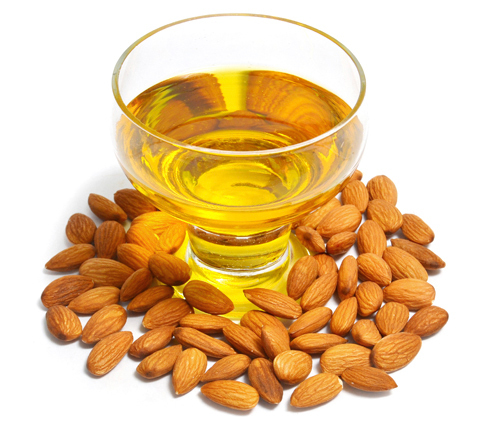 The almond oil is derived from the dried kernels of almond. It has high content of fatty acids as well as Vitamin E. It has humectant and emollient properties that help to soften the skin and prevent it from loss of moisture. It is used by aroma therapists and massage uses. It also possess Vitamin B1, A, B6, B2, Vitamin D and Vitamin E. The antioxidant properties are available due to the presence of Vitamin E in almonds. It helps to neutralize free radicals and protects the important cell structures. The studies also show that it lowers the effects of erythema, psoriasis and lowers the chances of skin cancer. Almonds are native to Middle East and South Asia. The tree of almond was originated from Sub tropical China as well as Middle east which grows at the height of 3-6 meters. Recently it is cultivated in Europe, Africa and California of United States. It has been used for the centuries for its multiple benefits. It is used to treat dry skin such as eczema and psoriasis. Almonds were originated in Asia and Middle east. The tree of almond was firstly appeared in U.S that was recorded in 19th century. Almond oil is loaded with various medicinal uses as well as health benefits. It has immune boosting, anti-hepatoxicity and anti-inflammatory properties. The oil is pale golden to brown in color with light in texture. This oil helps to improve the health of hair and skin without side effects. Almond oil is able to regulate the cholesterol level. The daily intake of almond oil increases the level of HDL cholesterol and lowers LDL cholesterol naturally. It also allows the flow of nutrients and oxygen freely through blood. Almond oil regulates the level of cholesterol if included in the diet. It also lowers the chances of cardiovascular ailments according to the studies. It prevents the heart diseases such as chronic inflammation and high cholesterol. Diabetes is the health condition that occurs due to the rise in blood sugar as the pancreas of cells is not able to produce insulin properly. It helps to regulate the level of blood sugar and prevents the condition of diabetes. The diet rich in almonds assist in losing weight. The research shows that the people who take almonds in the diet shows the loss in weight in comparison to those who did not included almonds in diets. Almond oil is helpful for maintaining health. The intake of almonds lowers the chances of colon cancer. 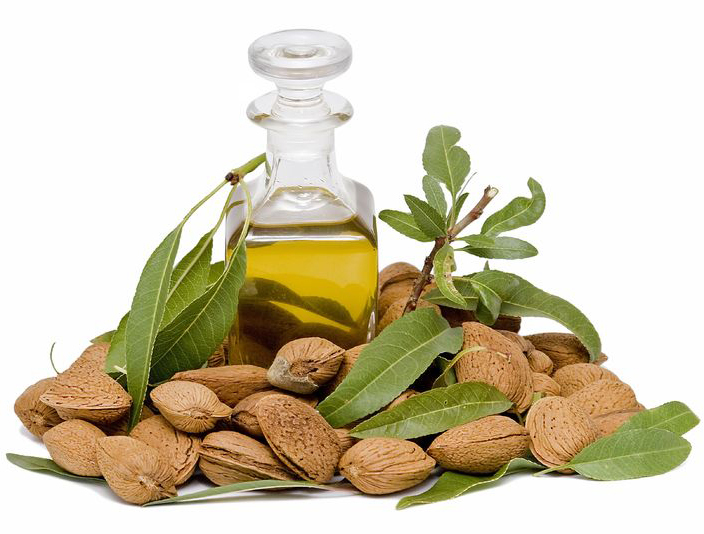 The injection of almond oil is used to treat rectal prolapse in children. It acts as a laxative that provides relief from constipation. The intake of two tablespoons of almond oil is helpful. Almond oil is helpful to provide relief from ear pain. It is also used to soften ear wax and soothes the blockage in ventilation tubes of ear. It is safe for the ear even if the ear has microscopic cuts inside it. Warm table spoon in hot water and put three drops of almond oil to the spoon. Then drop it in the ear and allow it to go down. Almond oil is able to keep the hair and skin health. It could be used for the sensitive skin as well. Due to its antioxidant properties, it prevents damage caused by UV rays and makes the skin soft as well as supple. Due to its light texture, it absorbs in the skin quickly. It also prevents the condition of acne due to the presence of Vitamin A. 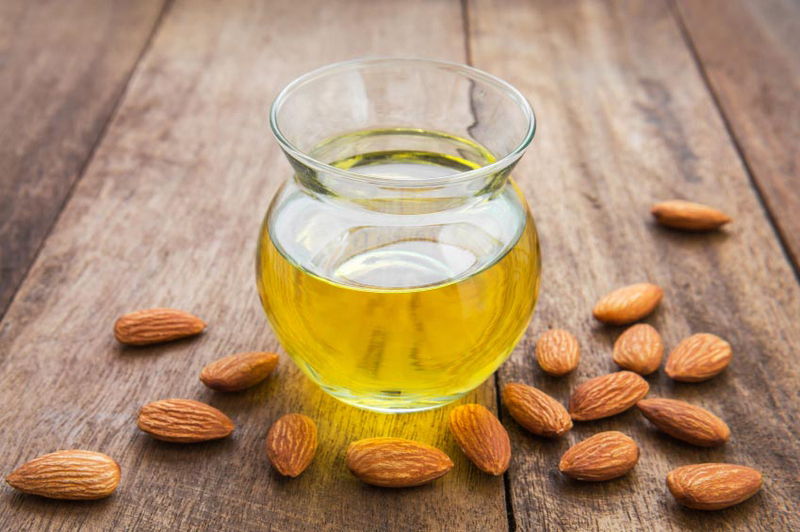 Apply few drops of almond oil to the dark circles area, it helps to eliminate it. 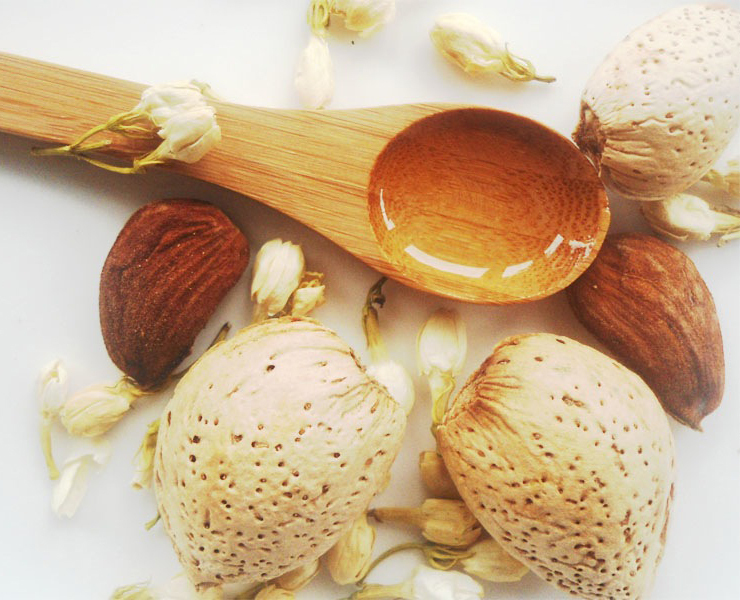 Apply almond oil to the face, this slows down the signs of aging and assist in renewation of facial skin. This oil is also helpful for psoriasis and eczema. It provides relief from itchiness, inflammation and redness caused by eczema and psoriasis. 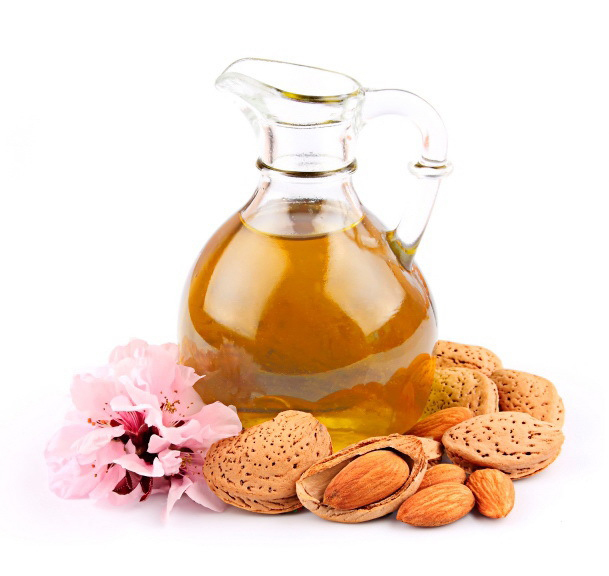 Almond oil is helpful for treating dermatosis, burnt skin and dry skin. It is also used to soften accumulation of ear cerumen. It helps to restore skin’s lipid balance. 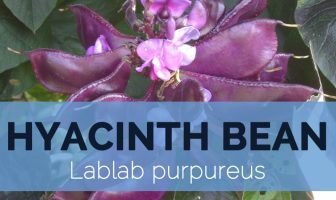 It is used as a lubricant, excipient, reepithelization agent and sebum restoring in products for the treatment of sensitive skin. It softens skin and also prevent from loss of moisture. It is also used as a laxative and vaccine additive. It is used to treat skin disorders. It could lower the effects of erythema, psoriasis and also lowers the chances of skin cancer. It lowers the scarring of wound and stretch marks. It provides relief from the damaged skin which is caused due to the exposure of sun. It helps to get rid of ugly marks by promoting the blood circulation. 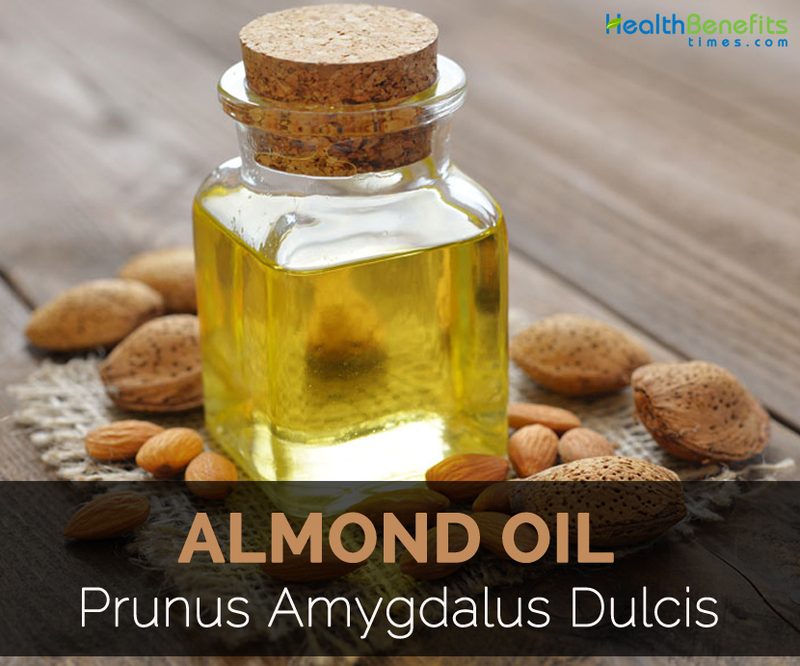 Almond oil could be used on the skin and hair directly. The use of almond oil to lips prevents it from being chapped. It maintains elasticity of the skin and makes it glowing, silky and smooth. Put a few drops of almond oil to the cotton ball and wipe it on face. It helps to remove makeup and makes the skin fresh. Apply almond oil to the scalp. Massage well and wash it after leaving it for 30 minutes. It helps to treat dandruff, dry scalp and flakiness. It moisturizes parched and dry scalps. Apply this oil to the wet hair to increase the shine and gloss of the hair. 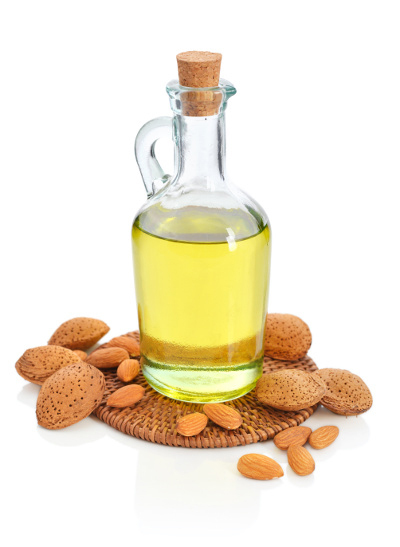 Apply small amounts of almond oil to the ends of the hair to eliminate split ends. It could be used for hot oil treatment that helps to condition the hair deeply and makes it soft as well as healthy. 4-6 drops of sweet almond oil could be added to the smoothie, juice and milk. Before sleep, drink it. This helps to clean bowels and is an aid for constipation. 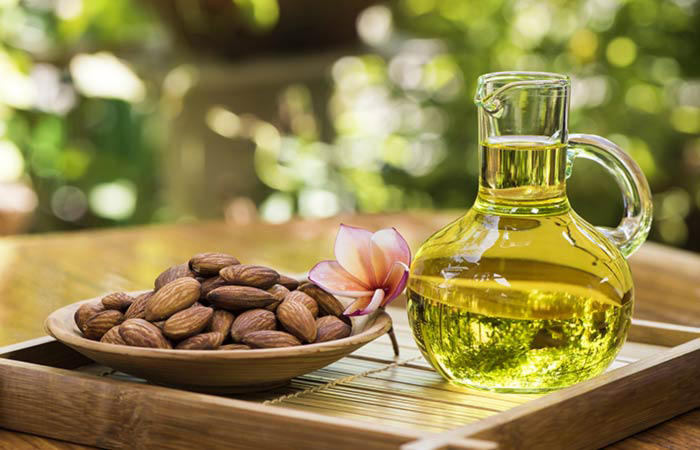 To provide relief from pain, massage with almond oil. It is also helpful for pains, stress and muscle cramps. It is used for aromatherapy massage to provide relief from aching and tired muscles. It provides relief from irritation, inflammation and itching. 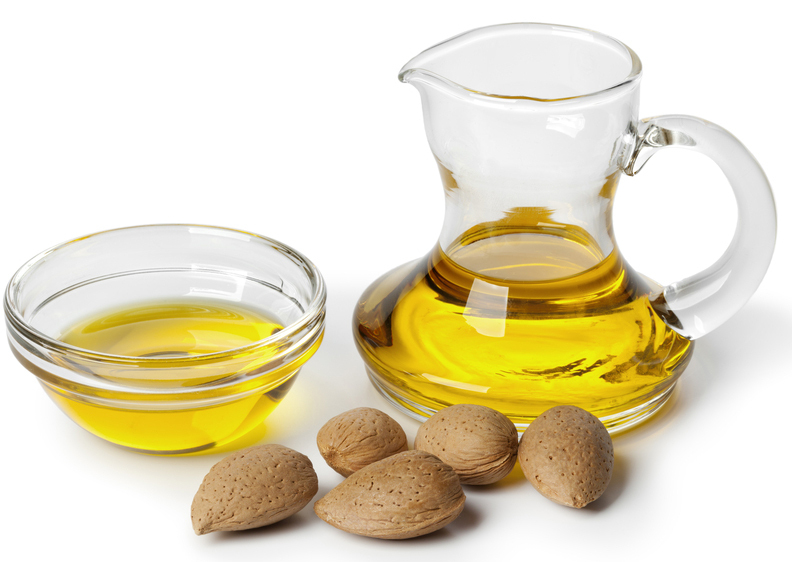 Anaphalaxis: Almond oil may cause allergic reactions in individuals with nut allergies. If you feel you might be sensitive, you can test ingesting half a teaspoon and waiting a day to ascertain if you have an allergic attack. 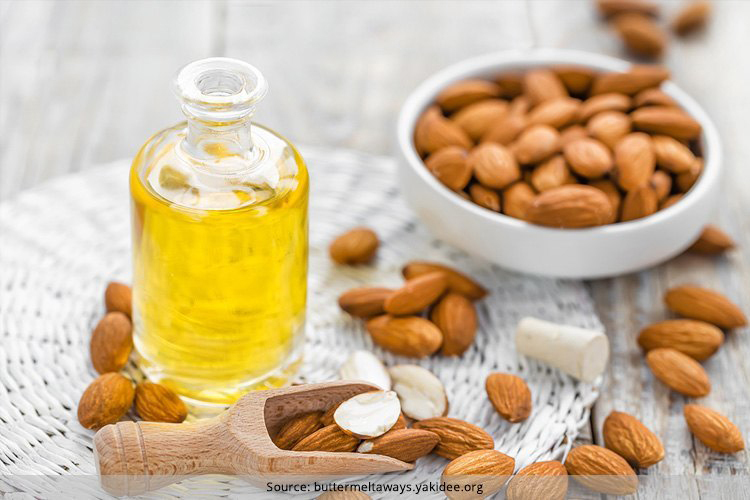 Lowering blood sugar levels: Ingesting almond oil mimics the effects of estrogen and may lead, in case of prolonged consumption, to decreasing the blood sugar levels. It should be used with caution by diabetics or patients who’re under medication for diabetes. 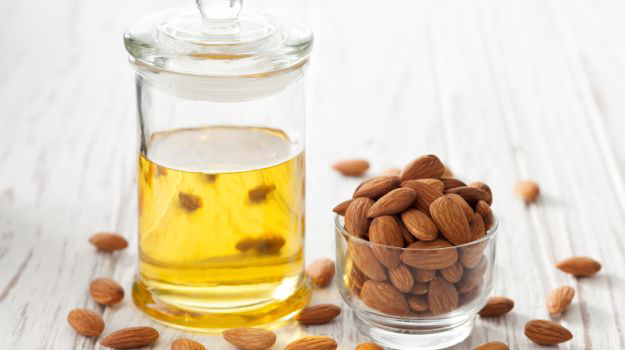 Weight gain: Because almond oil has elevated levels of calories, too much use can lead to weight gain. Drug interactions: Almond oil may interact with supplements intended to lower cholesterol, which includes niacin, garlic and fish oil. Speak to your doctor in case you are on any such medicines. It could be mixed to the veggies, salads and potatoes. It is a perfect substitute for olive oil. It is used fresh and is not suitable for frying purposes. It is used for hair conditioning products, skin hydrating products, oils, shampoos, moisturizers, bath oils, shaving creams and baby products. 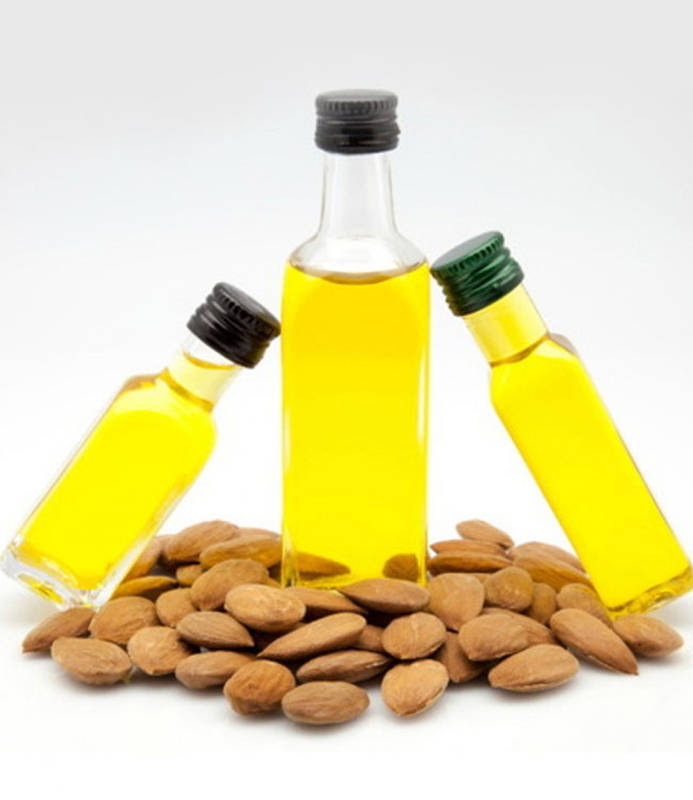 Almond oil is widely popular in Mediterranean region and Southeast Asia where it was firstly domesticated. The oil extracted from almond kernels promotes the skin health and heart health. It has high content of monounsaturated fatty acids, Vitamin E, potassium, proteins and zinc as well as vitamins and minerals that is healthy for the skin, heart and hair. Almond oil may be sweet and bitter. 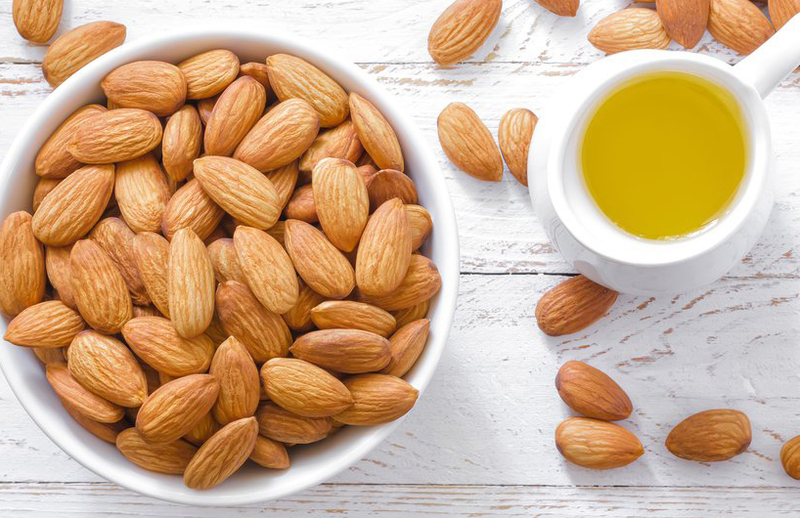 The oil extracted from bitter almonds makes bitter almond oil due to the presence of amygdalin which changes into toxic hydrocyanic acid while processing. Though bitter almond oil has some medicinal properties, it is avoided due to the chances of poisoning. Native Native to Middle East and South Asia. The tree of almond was originated from Sub tropical China as well as Middle east which grows at the height of 3-6 meters. Calories in 1 tbsp. (13.6 gm) 120 Kcal.